Who says winter should be gray and you feeling bulky under all those jumpers? To add a breath of fresh color to your rather somber wardrobe, we recommend a pop-colored blazer to be installed in your closet first thing this season. Wonder Wardrobes creates 8 best ways to style a colored blazer, but we suggest that do wear it the way, you feel most comfortable in. Also, carry a warm and pretty scarf at hand to add to the ensemble. Let’s go! 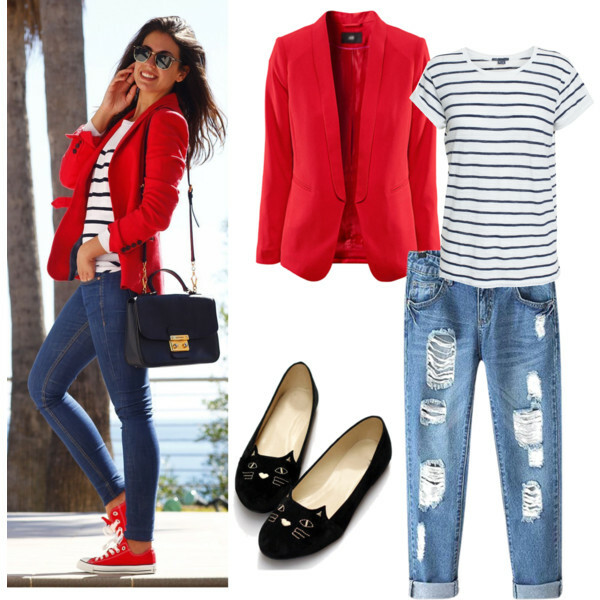 Choose a bright color like red on a blazer and pair it with a striped cotton shirt, a straight ripped jeans and a chic black, round-toe flat. A solid green blazer to be worn over a Vogue statement t-shirt and a wine red, pleated maxi skirt. Complete the look with a cut-out leather sandal for that breezy, feminine style. To create a sporty and stylish look, pair a dark gray waterfall blazer with a turtle-neck crop-top, a printed harem pant and to slightly deviate from the theme, finish it off with gladiator sandals. Floral blazers are a must. Wear a Floral blazer with a white neck-tie blouse, a blue wide-legged trouser and a fuchsia court shoe. Winters doesn’t mean you should avoid shorts. You can sport a blazer with a jacquard crop-top and a floral decorated shorts. Don’t forget the high-heeled sandals and stockings to keep you warm. Pastel shades exude class. Go full on pastel from the blazer to the flared trousers, but break that monotony with a sequin crochet sweater and an aqua blue pump. We won’t neglect our dresses at all. A tiered floral dress with a drapey blazer jacket and a cutout ankle boot, a salute to the season of fall. Sometimes, less is more. The classic monochrome fashion can be recreated with a black ripped leggings, a chic graphic white t-shirt and a bright pink blazer. Complete that with a camel, chunky-heel ankle boot. Say goodbye to the wintry blues and keep on experimenting with the colored blazer look for more fabulous styles. This entry was posted in Accessory Addiction, Create the Look, Style Savvy and tagged best ways to style, colored blazers, Fall, floral dress, style colored blazers, winter fashion.